Power is just half of the equation, you need control to keep it all glued on the blacktop. 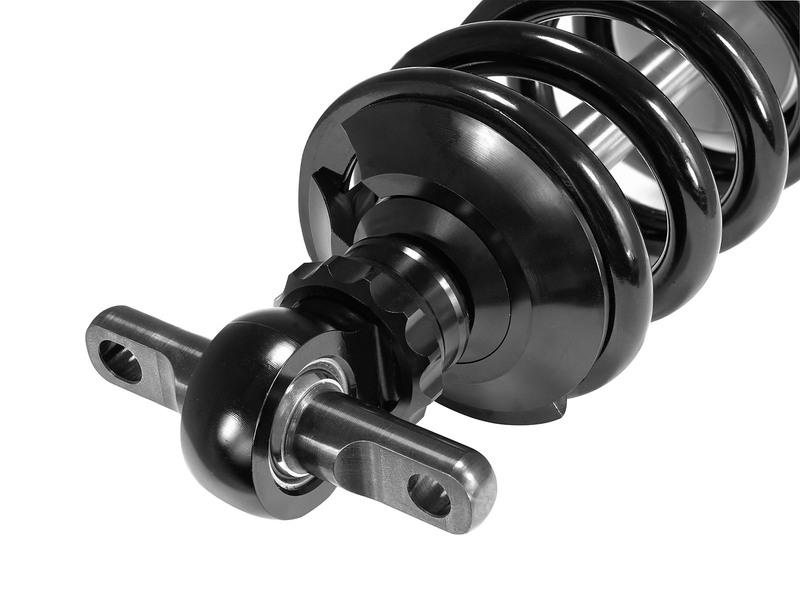 We have developed a variety of coilovers specifically designed to enhance your vehicles dampening. 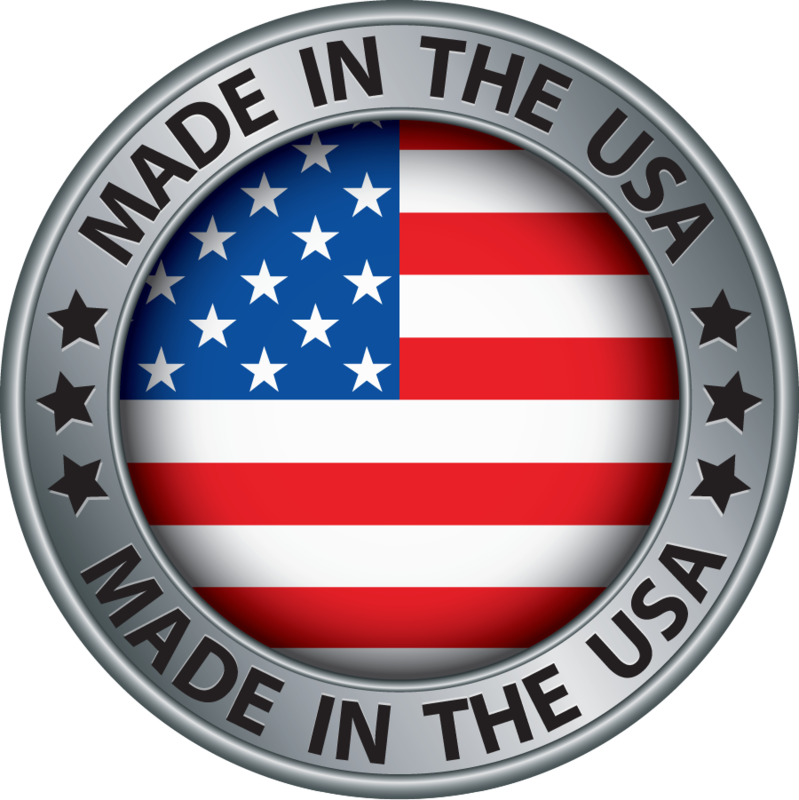 We proudly develop and test our products in the USA. 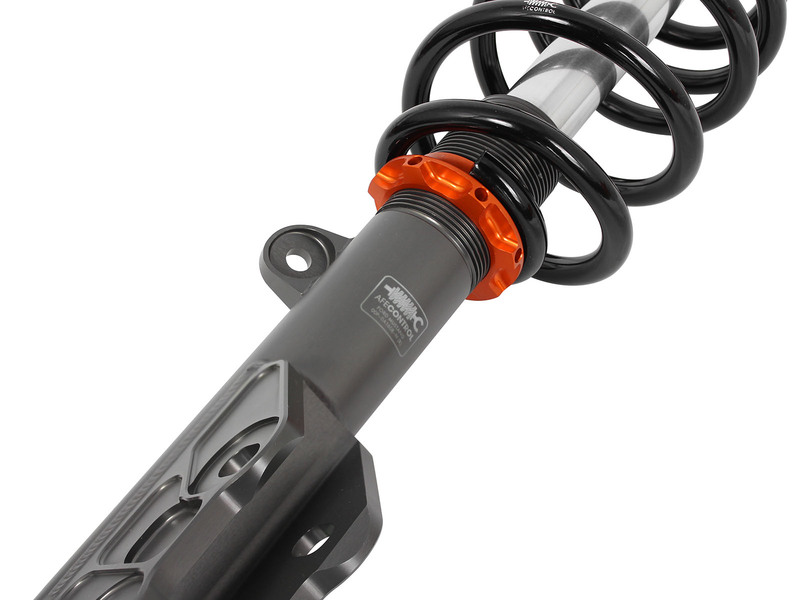 Our coilovers are constructed out of 6061-T6 aluminum for weight savings. 24 distinct adjustable settings allow you to dial in your suspension. 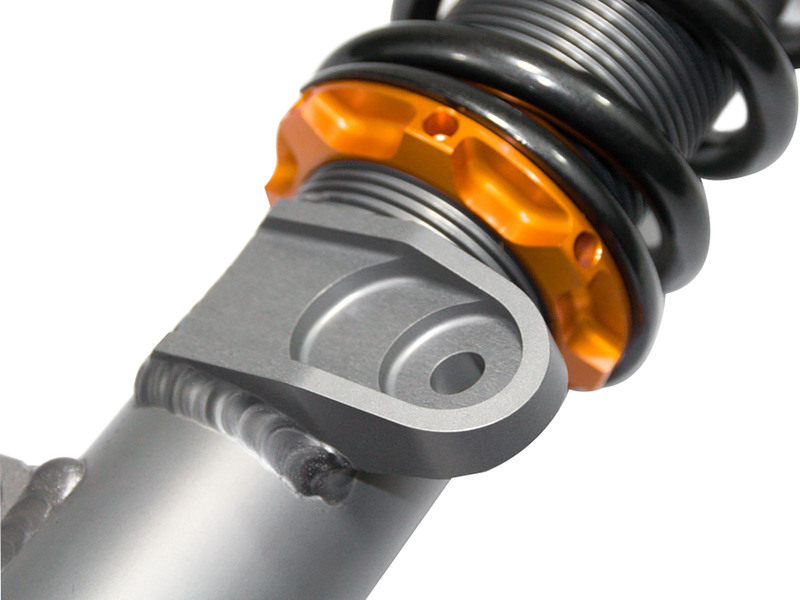 The inverted mono-tube shock design increases strength during high cornering loads without binding like traditional shocks. 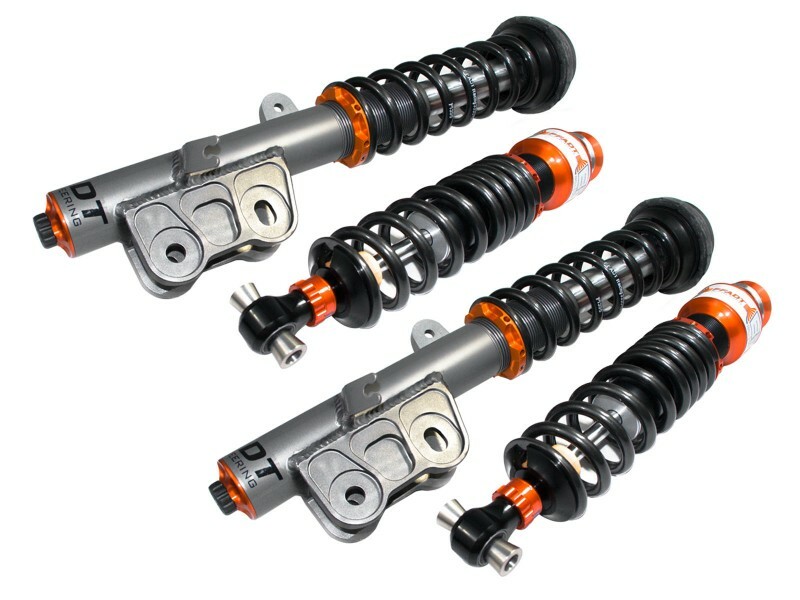 Our aFe CONTROL PFADT Series Featherlight coilovers are designed to be adjustable, light and strong. Specifically designed for the 5th gen Camaro, C5, C6, and C7 Corvette's, each vehicle receives distinct valving designed for that platform. While many other manufacturers use one size fits all valving design, we develop the dampening to fit each cars driving characteristics. 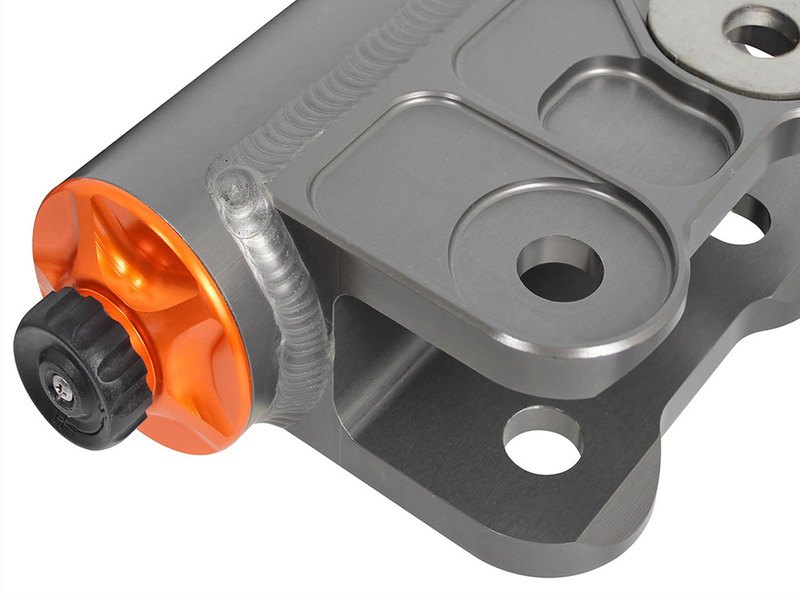 The inverted mono-tube design allows the strongest part of shock to be exposed, which results in resistance against binding under heavy cornering loads. Ride height is adjustable to make quick adjustments for that perfect setup or great stance. Unique to our coilovers is the BOA (Ball On Axis) and CIRC head (Concentric Integrated Remote Canister) systems. The BOA system allows the suspension to have full articulation without the loss of travel traditional clevis style mounting systems. The CIRC head is an integrated remote canister which maximizes the suspension stroke for a nice, smooth ride on those rough urban roads. 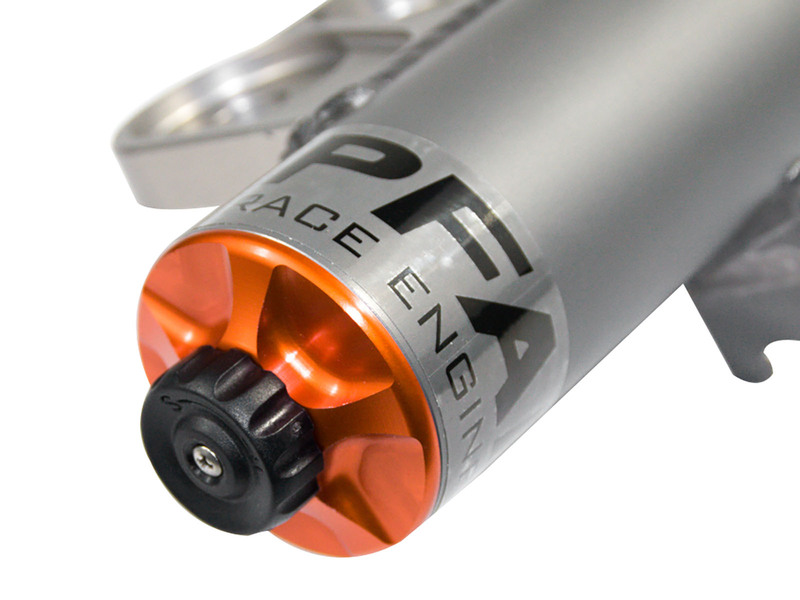 The canister is designed as part of the shock body itself, resulting in increased gas volume allowing for consistent performance through the life of the shock. Drag racing tuned coilovers are available on the 5th gen Camaro and Corvette C5/C6. We valve and utilize the correct spring rates that drag racers need to keep the rear wheels planted. We valve our coilovers for increased weight transfer towards the rear, this encourages the back of the car to squat and maintain this position down the track increasing traction. 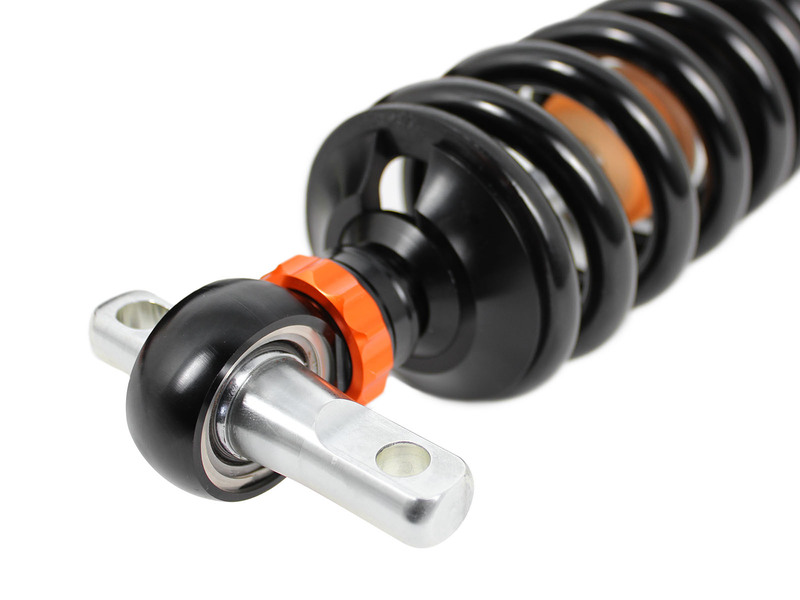 aFe has developed a variety of coilovers for several platforms. These highly engineered and tested products bring new life to your car that you never knew it had. 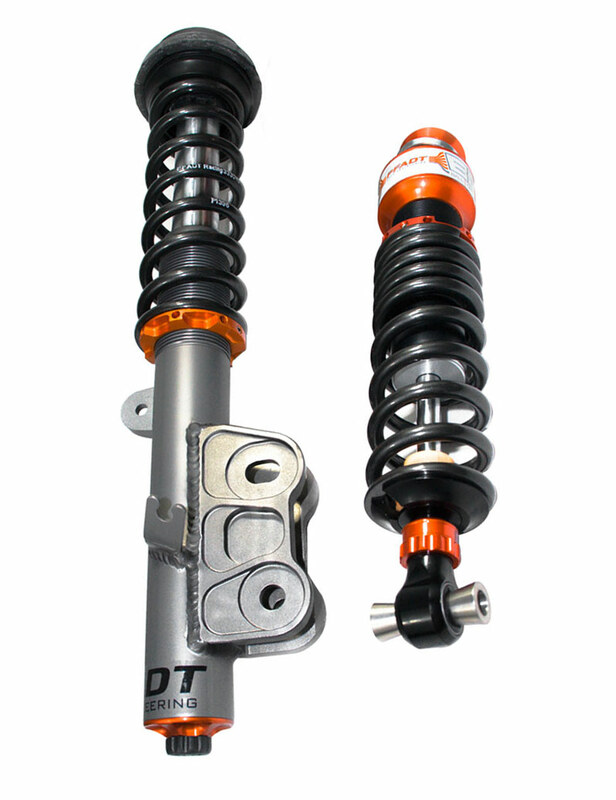 Starting from the all aluminum body shock/struts that save overall weight for your suspension to react faster. All of our coilovers come in a mono-tube inverted design, a floating piston inside divides both gas and oil to allow for consistent shock performance. 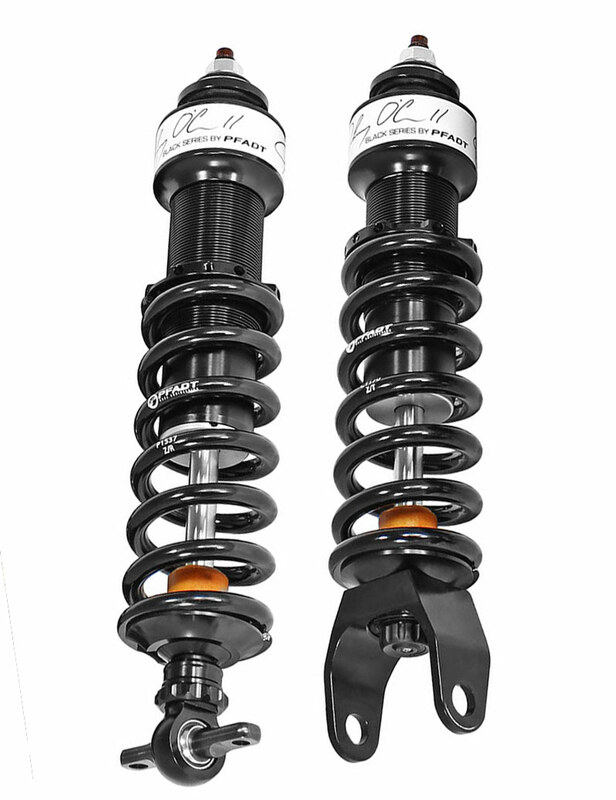 The shocks are inverted, so the strongest part of the shock is exposed resisting against binding or deflection under heavy cornering loads. Double Digressive valving allows you to adjust rebound and compression with the turn of a knob. Tested for street and track for optimum performance and longevity. Weight savings on average of 3lbs to 34lbs depending on application. Available on Ford Mustang S550 only, front camber adjustment. 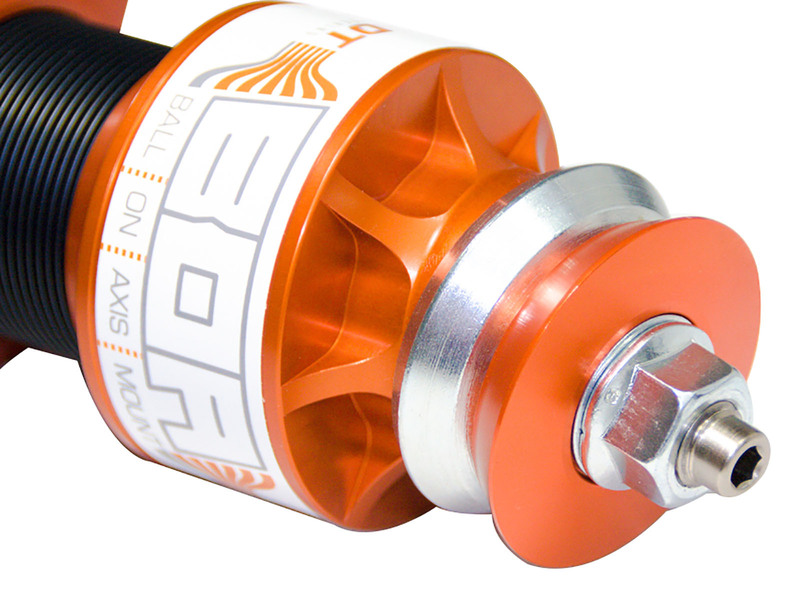 BOA head (Ball On Axis) provides full suspension articulation, no travel loss, and quieter ride. 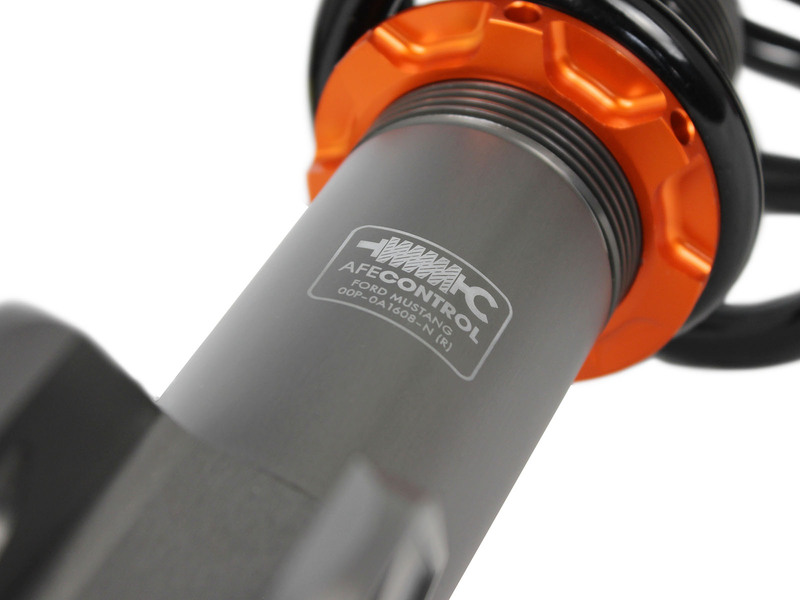 CIRC head triples gas volume for an improved consistent performing shock. Inverted mono-tube design for improved shock strength. Aggressive valving tuned by Johnny O'Connell himself designed for track driven Corvette's. 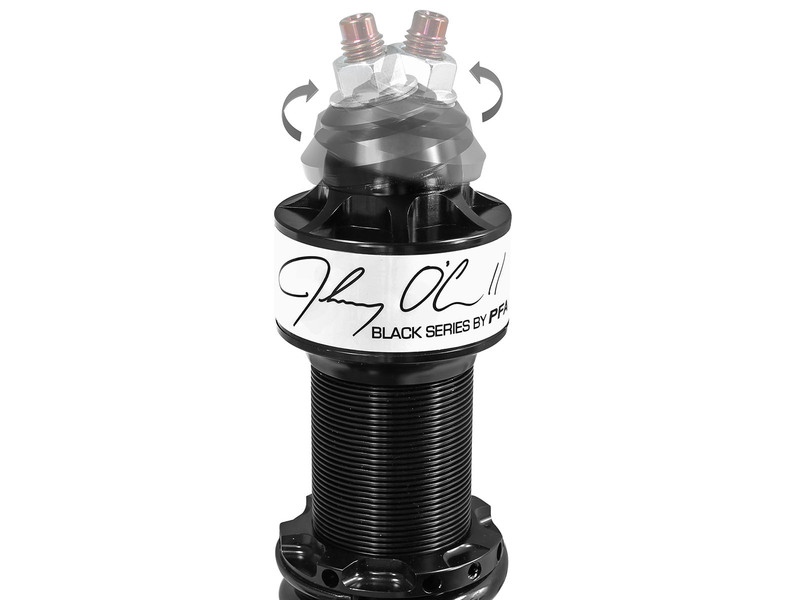 The Johnny O'Connnell Black Series Coilovers are tuned even more aggressively than our Featherlight series coilovers. They feature our BOA mount, CIRC head, and mono-tube inverted light weight design as the PFADT Series Featherlight coilovers. Making the black series an excellent choice for Corvette's that are driven on the track or searching for that extra edge on the street. CIRC head (Concentric Integrated Remote Canister) triples gas volume for improved performance. 24 distinct adjustable rebound and compression settings with an easy to reach knob. 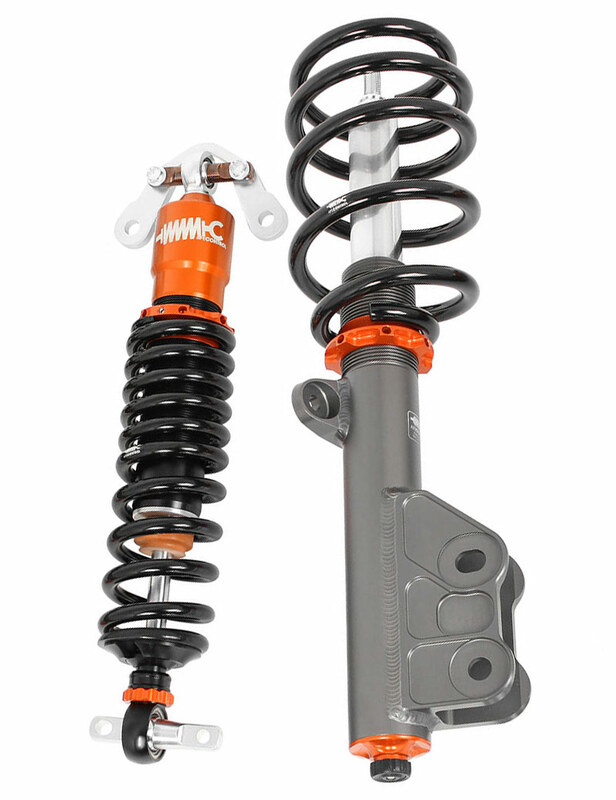 Lightweight inverted mono-tube design for improved shock strength. Drag racing tuned coilovers available on 5th gen Camaro and Corvette C5/C6. TIG welded front upright mounts allow additional tire clearance for aggressive wheel and tire combos. Double digressive valving allows for adjustable rebound and compression settings. Giving you the option to soften or stiffen up your vehicle to suit street or tracking driving with the turn of a knob. 6061-T6 CNC machined TIG welded front upright mounts allow additional tire clearance for aggressive wheel and tire combinations. The BOA system allows the suspension to have full articulation without travel loss. 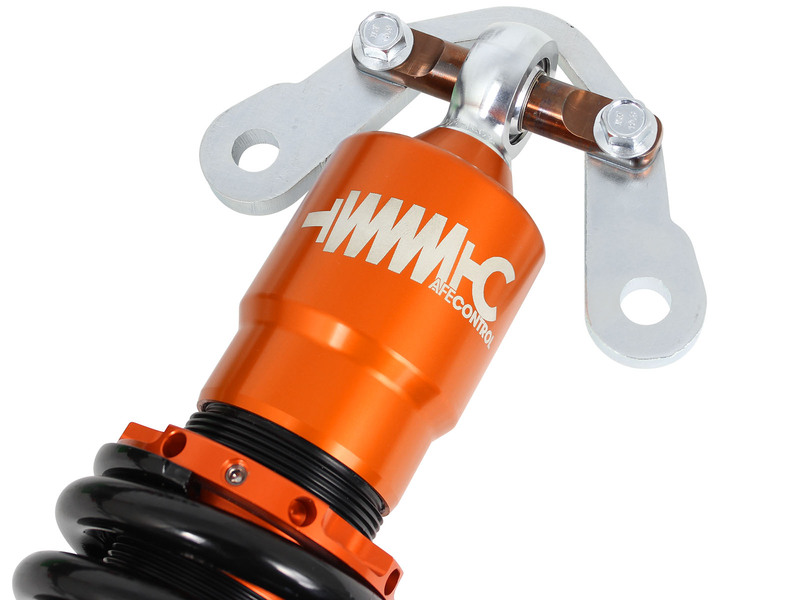 The CIRC head design is an integrated remote canister used in racing and easy to install. This maximizes suspension stroke for a nice, smooth ride on rough urban roads. 24 distinct adjustable rebound and compression settings allow you to soften or stiffen up the ride to suit street or tracking driving with the turn of one knob. 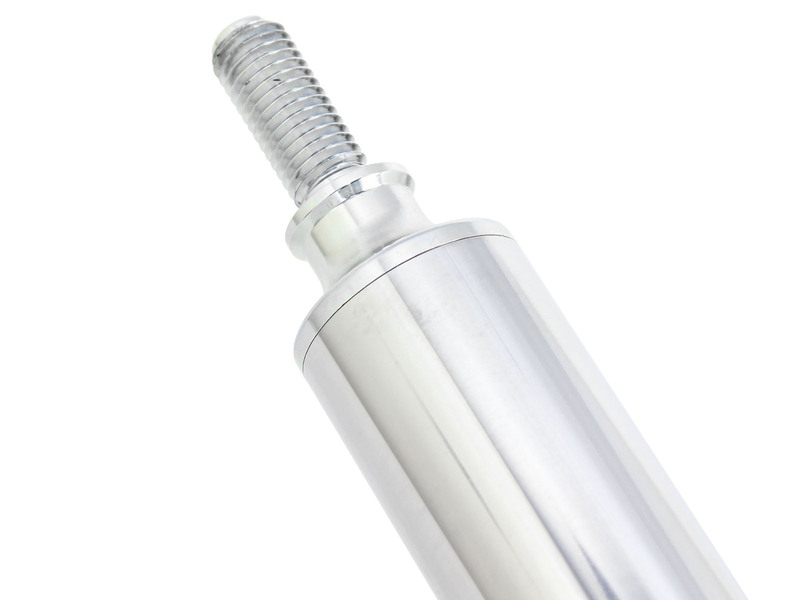 Rear shocks use CNC Machined, hardened, 17-4 PH stainless steel cross shafts which are retained by a 3/4" monoball and snap rings. 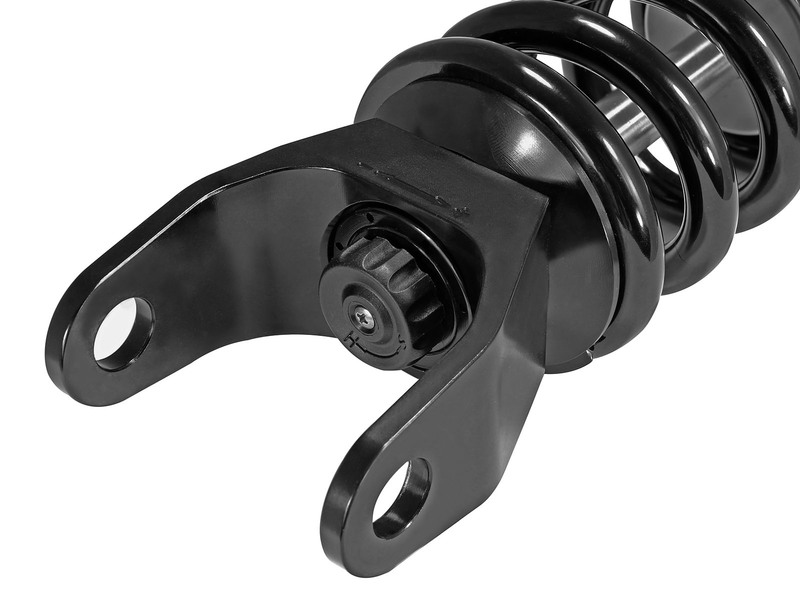 Rear shocks utilize OEM shock mounting locations, while the CIRC head design is an integrated remote canister used in racing and easy to install. This maximizes suspension stroke for a nice, smooth ride on rough urban roads. Lightweight Hard Anodized 6061-T6 Aluminum bodies yield high strength, while still maintaining a lightweight design. While many companies are moving their production facilities overseas, we pride ourselves on investing in a future here in the USA.